Mark Knopfler is not a prolific artist that delivers an album every year. It’s two or three years between albums and for the most part, we generally know what to expect although he never disappoints. 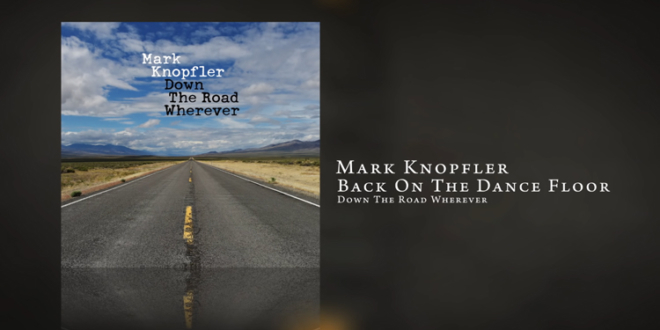 On Down the Road Wherever, his ninth studio album, he changes up a few things, adding horns, an array of female background singers, and even some bluesy licks on a slide guitar. You’ll detect his signature rock sound from his days with Dire Straits too. And, you’ll hear some jazz and funk too. It’s a mix of the familiar from Knopfler in terms of his Celtic folk-rock approach with long-time collaborators Mike McGoldrick on tin whistle and flute along with John McCusker on fiddle. The other recognizable names include co-producer and keyboardist Guy Fletcher, bassist Glenn Worf, pianist Jim Cox, guitarists Richard Bennett and Robbie McIntosh, drummer Ian ‘Ianto’ Thomas and percussionist Danny Cummings. The new brass additions are saxophonist Nigel Hitchcock, trumpeter Tom Walsh and trombonist Trevor Mires. Background vocals come from Imelda May (especially prominent in ‘Back on the Dance Floor’), Kris Drever, Lance Ellington, Beverley Skeete and Katies Kisson. Knopfler wrote all songs except ‘Just A Boy Away From Home’ where he inserts lyrics from Rodgers and Hammerstein’s ‘You’ll Never Walk Alone’ within the piece. 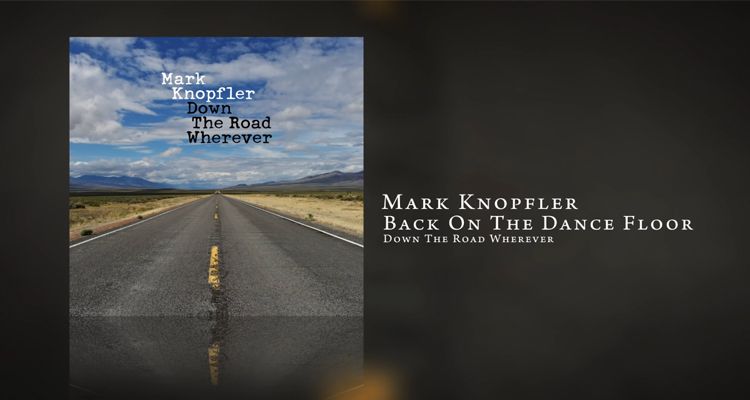 The album begins with Knopfler’s trademark sound (albeit with female vocalist in the chorus) for ‘Trapper Man’ before shifting to the syncopated percussive beats in ‘Back On the Dance Floor’ featuring Imelda May in support. Other highlights include ‘Just a Boy Away from Home,’ which was inspired by memory back home in Newcastle when his father was in the hospital after a heart attack. While trying to fall asleep his dad heard a boy walking on the deserted street singing ‘You’ll Never Walk Alone’ after a soccer match. 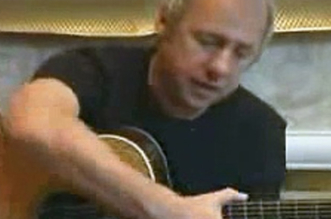 Knopfler plays the melody on the slide, finding inspiration as his dad did in the spirit of it. 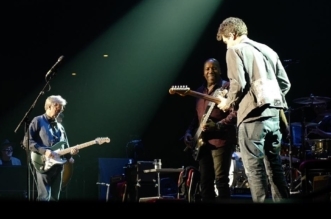 Knopfler turns jazz balladeer in the romantic “When You Leave” and has fun with the calypso-styled “Heavy Up.” The single “Good On You Son” may remind you of those vintage Dire Straits sound with its rhythms and Mark’s guitar lines. 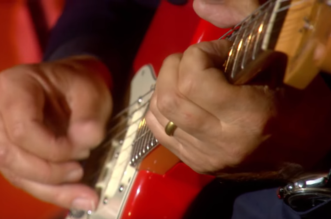 He’s one of those guitarists that’s instantly recognizable when hearing just the first few notes. That one and “My Bacon Roll,” about the man in the diner are classic examples. Kudos to Knopfler for adding new elements to his song. There are some terrific songs, but the album drags in some places and would benefit from more a bit more energy.